Well what a huge week in the guiding world with a different client with a different story everyday. Fishing locally has been very exciting and most anglers have enjoyed some good solid fish in most rivers especially after the wet weekend we have just had. I must admit the fish I have been hitting have been recovering fish as the clients have mainly been beginners and find catching these hungry trout just as fun. 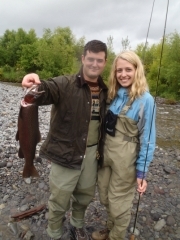 The Tongariro received a fresh run of trout over the weekend following the weekends wild and wet weather conditions. 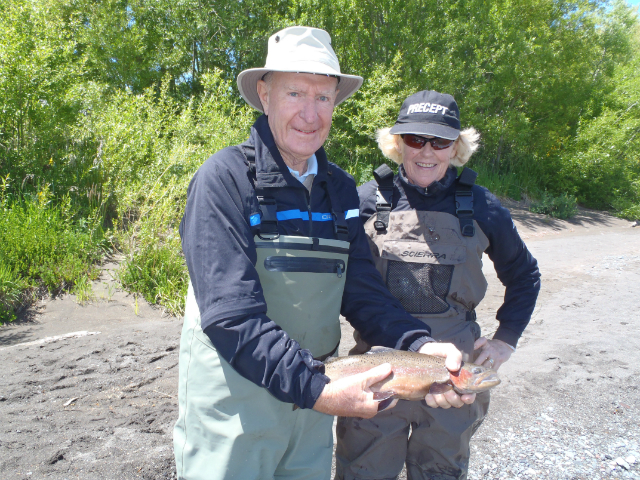 There are not many anglers which are devoted enough to hit the river in the wind and rain but these hearty souls which are on holiday were certainly not letting that fact get in the way. 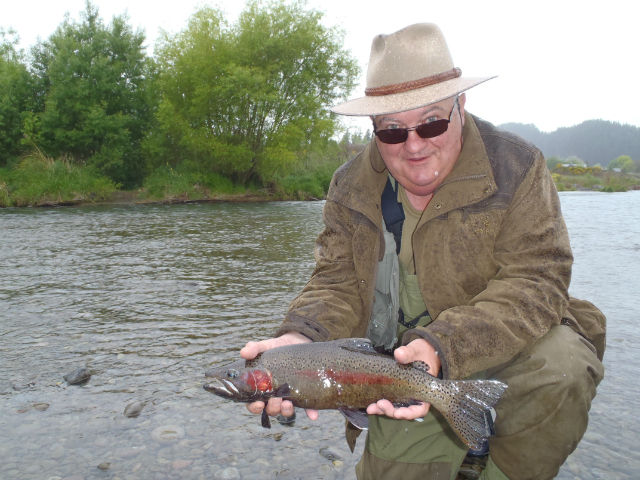 I will predict the next few days will be very good on the Tongariro especially in the lower river and the smaller rivers of Taupo could well have got a last run for the season especially after the westerly which thumped the river mouths. I have been doing very well using simple natural patterns with a slight amount of weight tied into them and fished into the riffley water or flat spots in the main runs. 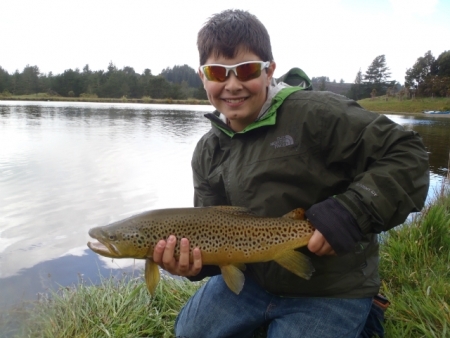 The better and larger fish seem to be holding up in the deeper swirly water and can be caught using typical winter fly selection or set up such asÂ a glo bug in the morning with a 3 or 4 mm bead. I must admit I have overlooked this water over the last week as I have just had so much fun with fish in smaller water. Apparently the first of the olive coloured torpedo’s have arrived in the town pools and soon we should hear of the first big browns coming to the net. Again I have not actually seen one as yet but with the latest rain and wind and slight increase in water flow we may see a few more hanging about very soon. These fish wont be amazing eating but are an amazing sport fish so lets try and release these awesome creatures unless it is going on the wall for all to see. Another week of bookings everyday is about to begin and I will apologise for the lack of reports until this busy period is gone but thereÂ is plenty of awesome fishing to have in the next couple of weeks and I really hope to see you out there. Don’t forget the 1st of December is looming close and the upper rivers in Taupo will be open for fishing which should be second to none.